Outstanding advice on real estate tax and project finance. Handles all stages of construction and development for investment funds, developers and contractors. Acts on purchases and sales, particularly for office, retail and residential projects. Regularly advises on transactions involving large infrastructure and agriculture projects as well as hospitals. Clients praise the department's resourcing, which allows it to "cover real estate projects throughout Romania." Clients describe Florian Nițu as "an excellent lawyer, one of the best in the country." He advises on the real estate aspects of M&A transactions. His main clients are investors and developers, as well as those selling property; he recently assisted Farmexim with documents and negotiations relating to the sale of its previous headquarters and warehouses. Valentin Creața advises on the development of projects in the commercial, healthcare, logistics and residential sectors. His clients consider him to have "strong negotiation skills and a very good knowledge of the field." Offers a fully integrated service covering all areas of contentious and non-contentious tax, with particular strength in substantial corporate transactions. Advises on direct and indirect tax issues in planned real estate transactions. Supports changes to corporate structures through requests for binding tax rulings. Has additional experience in income and capital gains tax aspects of changes to employee remuneration schemes. The team is praised for "deep knowledge of the law and regulatory environment, especially in terms of the procedures that central and local tax authorities follow." "The lawyers are up to date both with the latest changes to Romanian and international legislation and with changes in the approach that the authorities take," note clients. Clients note Mihaela Pohaci's focus on direct tax matters and describe her as "experienced and creative." She leads many of the firm's regional and international transactional mandates, including advice to Ameropa Grains on its acquisition of three Romanian agri-storage and distribution businesses. Well-rounded expertise across the TMT sector, including regulatory issues and transactions. Significant involvement in IT procurement matters, data protection and intellectual property rights, as well as regular activity in media and technology-related disputes. Broad knowledge of commercial and competition issues affecting the telecommunications sector. Sources acknowledge the team's strength in IT and IT-related public procurement. One impressed client reports: "We are very happy with the work done by the team as they often bring valuable and innovative insights." The department receives acclaim for its "international standard, quality and dedication." Widely respected practice advising international leasing companies on cross-border financing mandates, as well as foreign and local banks. Knowledgeable of finance matters in such sectors as construction, real estate, agribusiness and pharmaceuticals. The team is noted for its commitment: "We are happy with the services we get. We like their promptness, trustworthiness and passion for their work." Another client highlights their trustworthiness: "We have a good and trustful working relationship. They have a helpful integrated approach, and they're responsive, efficient and proactive." New to the table, Alexandru Ambrozie has experience in drafting security packages and related regulatory matters, as part of a wide-ranging corporate finance practice. Clients note: "He is creative in finding optimum solutions and takes a clear and pragmatic approach." Another source says: "When he is on an operation I feel relaxed. I can rely on him blindly, he's clear, explanatory and I recommend him." Well-resourced team with experience spanning the capital markets field, notably including advice on related litigation cases. Strong track record of transactional mandates, including substantial IPOs and bond issuances. Clients appreciate the team's dedication to their cases: "They assist the client beyond the scope of work mentioned in the engagement letter, looking to build long-term relationships." Receives praise for involvement in important competition investigations. Supports all stages of proceedings from dawn raids through to court appeals of Commission Council decisions. Assists with the analysis and implementation of supply and distribution contracts. Also offers compliance training to a range of clients including those in the IT, chemicals and retail industries. Market sources endorse the firm for its competition law expertise, describing it as "very active and a solid option for clients." Mihaela Ion is well known to peers for her work on behavioural investigations carried out by the Romanian competition authorities. She also assists with compliance training for key clients. Silviu Stoica is a key contact for the firm's domestic and international clients. He oversees diverse matters including investigations and merger control mandates. Strong on property-related mandates and highly active assisting international private equity investors with their Romanian transactions, providing related expertise in tax, competition and contentious areas. Acts on private sector and foreign direct investment mandates, with activity across such industries as IT, pharmaceuticals and retail. The team is recognised for its quick, yet thorough, response to problems: "Our experience is great, we are very happy to have them. We especially value their analytical skills, deep knowledge of several areas of our interest, and very fast and professional reactions." Florian Nițu has expertise in joint ventures, shareholder agreements and implementation procedures, as well as the transfer of various receivables and shareholding loans. Bogdan Constantin Stoica is a notable lawyer in the M&A market, who recently advised MedLife on its acquisition of healthcare services provider Prima Medical for EUR 1.3 million. Silviu Stoica regularly acts for investments funds and US blue-chips. Recent highlights include assisting Cristian Amza, CEO of La Fantana, with the purchase of shares in La Fantana held by Innova Capital. Recognised dispute resolution practice active across commercial and corporate litigation as well as international arbitration. Strong experience in insolvency, employment, IP and energy matters, in addition to cases involving the real estate sector. Benefits from increasing expertise in tax litigation and long-standing experience of administrative disputes. One interviewee appreciates the "client-oriented" approach taken by the team and the "added value" it provides. Others appreciate the firm's "good technical knowledge and billing flexibility." Ciprian Donțu is head of department and has experience advising on high-profile insolvency disputes. He recently represented P7S1 Broadcasting Europe in the recovery from Prima Broadcasting Group of unpaid licences for television programmes. He also acts on energy, commercial and competition cases. Diverse expertise in Romanian employment law, regularly acting on such matters as transfer of business, collective lay-offs and disputes with trade unions. Also knowledgeable of designing wage and pension conditions, as well as regulatory and compliance issues. Experienced in advising clients in the IT, retail, transport and energy sectors. Vlad Neacșu has experience in a variety of issues in the Romanian labour market, including business transfers, disciplinary matters, employee strikes and collective dismissals. Well-regarded Romanian firm with broad knowledge across a variety of projects involving domestic and international clients. Significant involvement in infrastructure and utilities matters, notably acting on public procurement and compliance issues. Recent activity includes advice relating to road, water and waste infrastructure and additional assistance with public procurement disputes. Sources report that the team "are very good and reliable; they know the industry well." Clients praise the team's accessibility: "It is very easy to talk to them, they all speak very good English and respond very quickly." Specialised domestic firm and strong choice for energy-related litigation, well versed in disputes and competition issues. Extensive experience in wind, nuclear energy and hydropower projects. Active in transactional, financial, construction and regulatory matters. Clients praise the team's availability and efficient approach: "We are happy with their services. In addition to their experience and legal and industry knowledge they are very responsive, providing useful and practical advice." 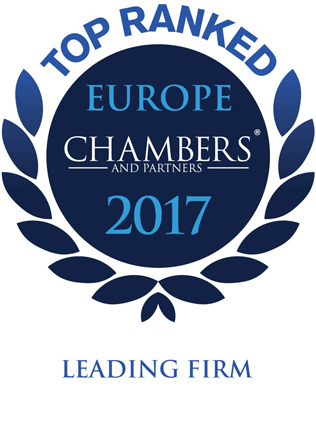 Joins the rankings this year following solid market feedback and increased visibility on insolvency and restructuring proceedings. Advises national and international clients from a diverse range of sectors including finance and real estate. Offers interdisciplinary expertise with banking and finance, tax and corporate teams. Provides additional support in related litigation. Clients highlight the high quality of service provided. One source notes: "They are all great specialists in their area of activity. They have sound technical knowledge and are up to date with the latest changes in both Romanian and international legislation." Further interviewees appreciate that "in addition to their experience and legal and industry knowledge they are very responsive and provide useful and practical advice."